1 B None No Power Seat 1 B may have extra legroom. 1 E None No Power Seat 1 E may have extra legroom. 10 A None No Power Seat 10 A is an Economy Class Exit Row seat with extra legroom. 10 B None No Power Seat 10 B is an Economy Class Exit Row seat with extra legroom. 10 C None No Power Seat 10 C is an Economy Class Exit Row seat with extra legroom. 10 E None No Power Seat 10 E is an Economy Class Exit Row seat with extra legroom. 10 F None No Power Seat 10 F is an Economy Class Exit Row seat with extra legroom. 11 D None No Power Seat 11 D may have extra legroom. 25 A None No Power Seat 25 A may have extra legroom. This seat does not have a window. 25 B None No Power Seat 25 B may have extra legroom. This seat does not have a window. 25 C None No Power Seat 25 C may have extra legroom. This seat does not have a window. 25 E None No Power Seat 25 E may have extra legroom. This seat does not have a window. 25 F None No Power Seat 25 F may have extra legroom. This seat does not have a window. 36 C None No Power Seat 36 C is a standard Economy seat, however, the proximity to the lavatory may be bothersome. 36 D None No Power Seat 36 D is a standard Economy seat, however, the proximity to the lavatory may be bothersome. 37 A None No Power Seat 37 A is in the last row. The proximity to the lavatory and galley may be bothersome. 37 B None No Power Seat 37 B is in the last row. The proximity to the lavatory and galley may be bothersome. 37 C None No Power Seat 37 C is in the last row. The proximity to the lavatory and galley may be bothersome. 37 D None No Power Seat 37 D is in the last row. The proximity to the lavatory and galley may be bothersome. 37 E None No Power Seat 37 E is in the last row. The proximity to the lavatory and galley may be bothersome. 37 F None No Power Seat 37 F is in the last row. The proximity to the lavatory and galley may be bothersome. 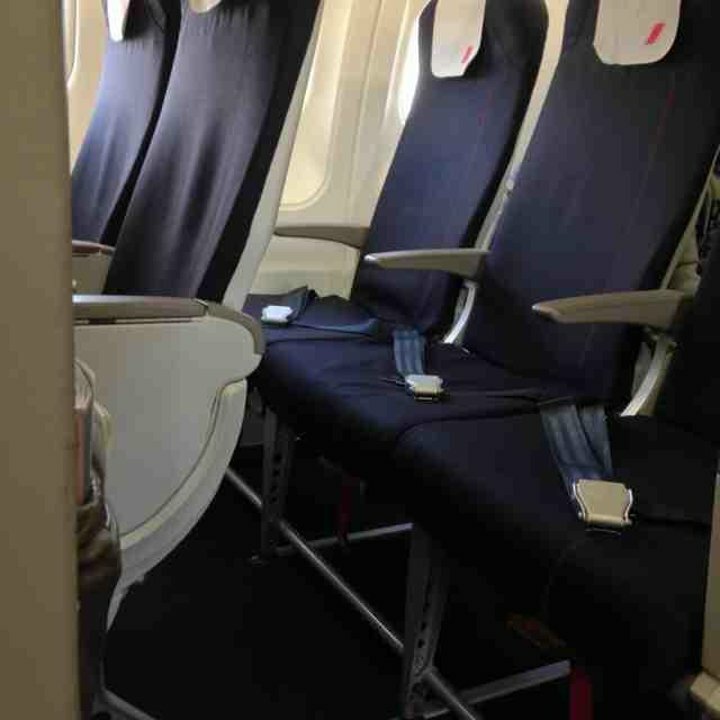 9 F None No Power Seat 9 F is an Economy Class seat that is missing a window. 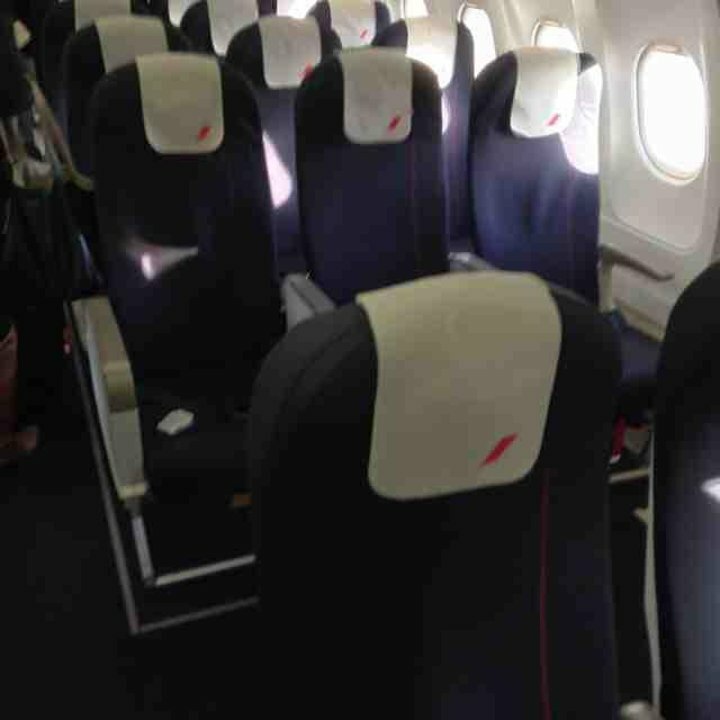 The aircraft seating configuration is a single, Economy Class layout with a total of 212 seats. This configuration usually is in operation on domestic French services. With the alignment of the rows and windows, row 15 has a view from two windows. With the cabin refresh, all seats have USB power in the armrests. Flew this domestic flight from ORY to Biarritz (BIQ). 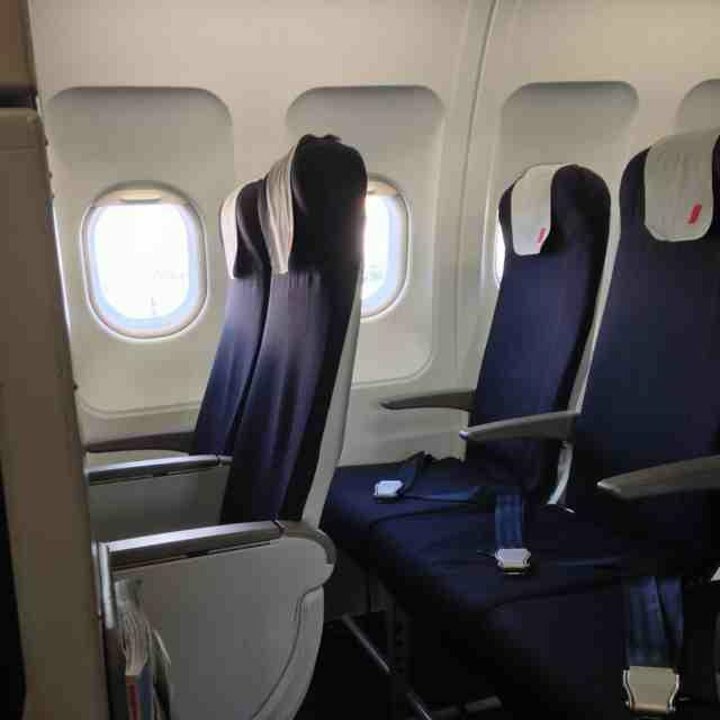 Legroom, seat width and overall confort were reasonable and appropriate for duration of domestic flight. The seats do not recline, however. Good seat and good pitch for 1,85m. There is absolutely no way the seat pitch is 32 inches. 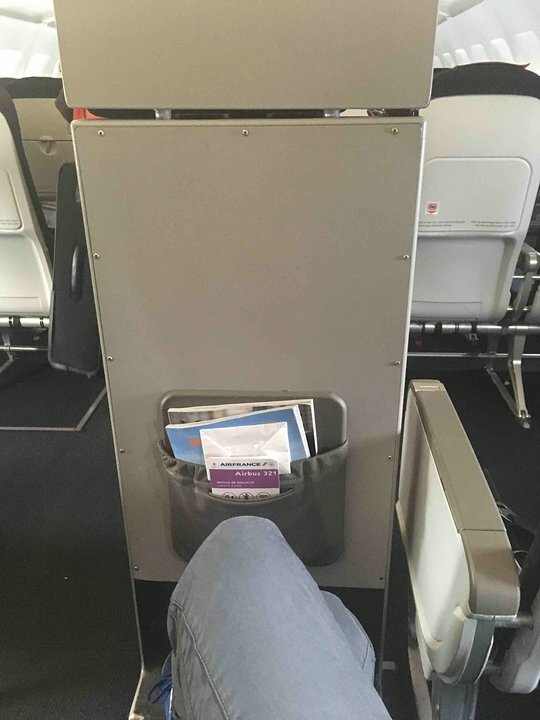 I'm 6'3', and my legs were crushed into the seat in front of me. I flew on Air France flight 1427 on 28 December 2015, from Venice to Paris. 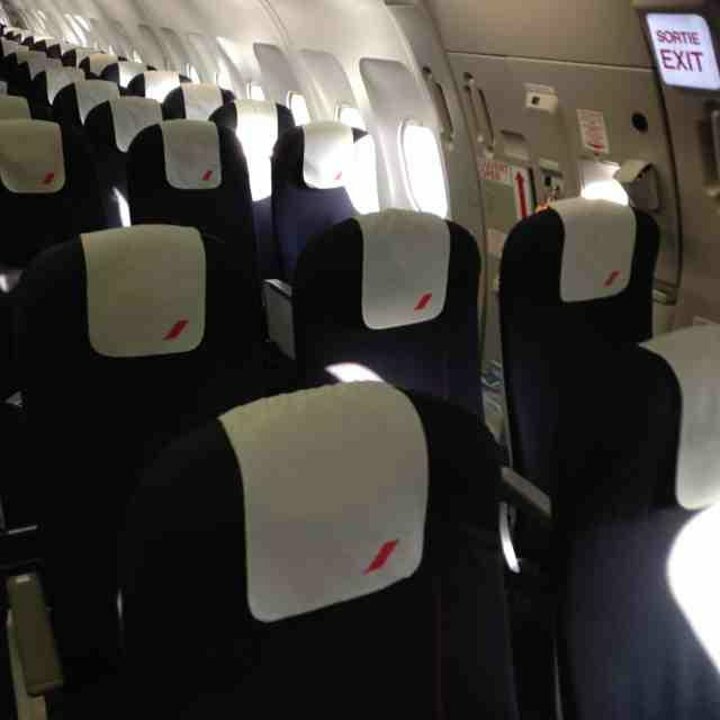 This seat has a lot of legroom, more than on the standard economy on Air France's Boeing 777-300ERs (4 class), and more recline than the 777-300ER. It's a good seat. Although it's over the engine, the engine sound isn't bothersome at all. In fact, the A321 is relatively quieter than the 737.